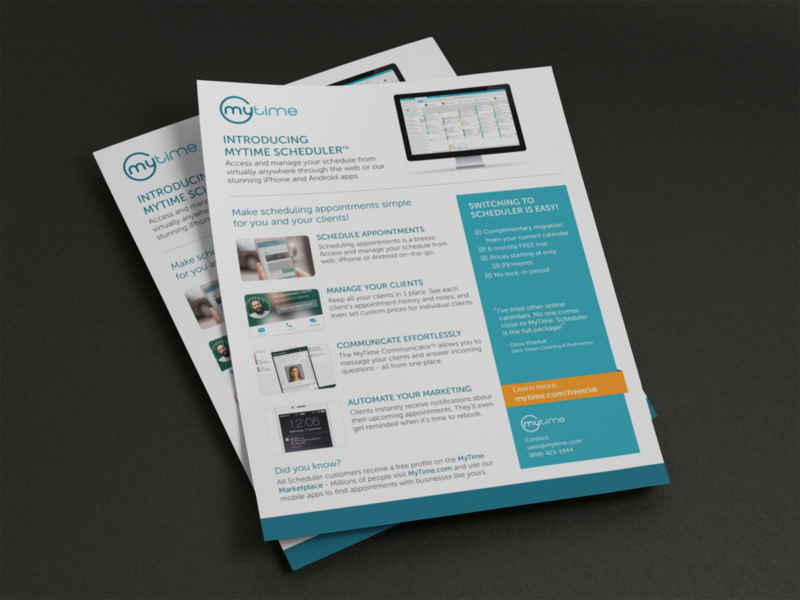 I designed this 2 page flyer to help MyTime promote the launch of their online product. 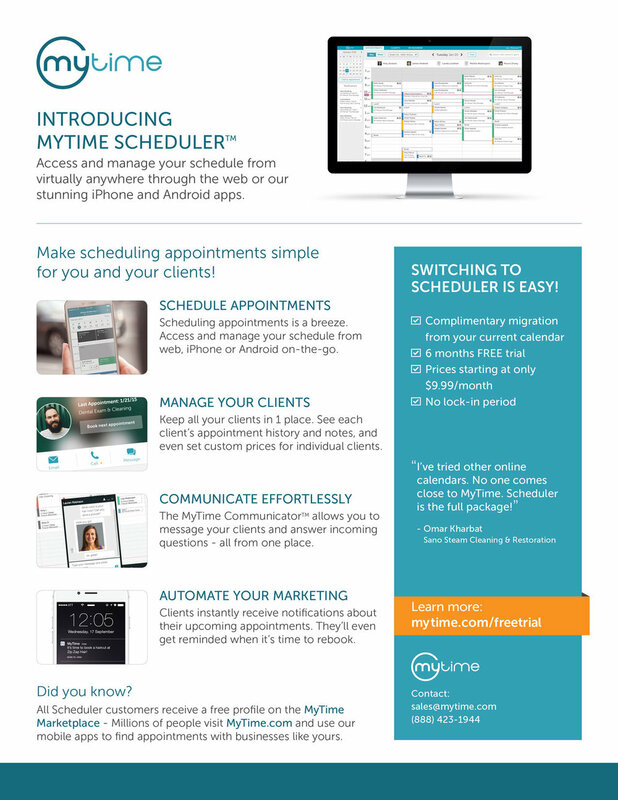 The second page is customizable as it compares MyTime’s product and one of its competitor at the time in terms of features, pricing, etc. I used the brand’s greens as the dominant colors and added orange as an accent color to compliment the greens.